We need our loved ones to be close to us.We need to feel their touch. 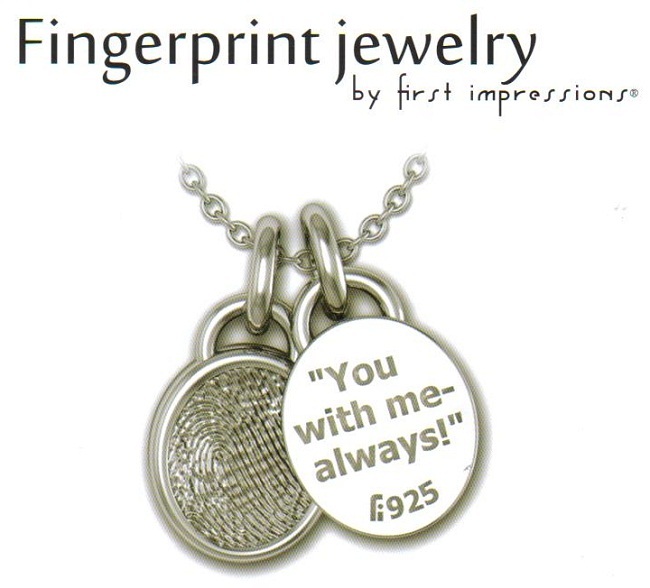 With these prints, your loved one is never far away. You can be reminded of their touch always! Perfect not just for Mother's Day, but for dads, grandmothers and grandfathers, military heroes, or someone loved and lost. This jewelry is available in sterling silver or gold. See samples on our Facebook page and in our store!